Chabrol's predecessor. 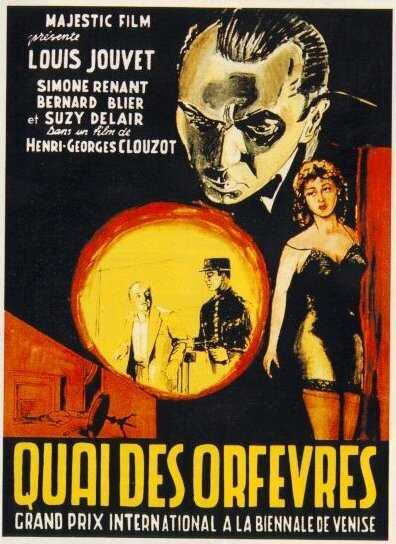 First of all,there is a detective story:"l�gitime d�fense" by Belgian Stanislas Andr� Steeman whose "l'assassin habite au 21" Clouzot had already put to the screen in 1942,with Pierre Fresnay and the same actress Suzy Delair.Steeman complained about Clouzot's adaptation for both movies.The movie from 1942 was excellent,but the "detective story" side had been kept,so why complaining?As for "Quai des orf�vres",Clouzot was now in a new phase of his brilliant career.After having directed "le corbeau" and been blacklisted,he had a lot more to say than a simple whodunit.Steeman complained essentially about the poor detective ending,which I will not reveal of course,but Clouzot focused on the social vignettes,on his characters's psychology,and he did not give a damn about thepuzzle � la Agatha Christie.By doing so,he becomes the genuine predecessor of CLaude Chabrol who has always been closer to him than to Alfred Hitchcock whom he admires much though. 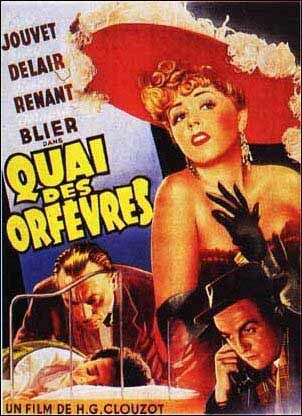 Suzy Delair has great screen presence,and you will love the song she really sings(she was a singer too)"avec son tralala".Bernard Blier gives ,as ever,a sparing of gestures and words performance,and he really pulls it off .Two characters are particularly interesting and disturbing:the first one,Dora,the photographer:she takes pictures of female models ,and Clouzot,by subtile touches,reveals us she's a lesbian.Of course,the word is never pronounced(How could it be in 1947?) 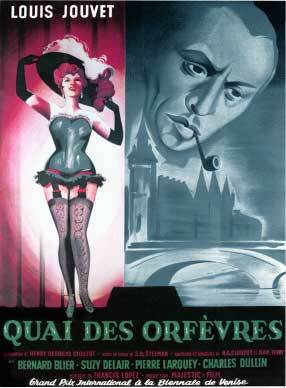 The police chief (fabulous Louis Jouvet) tells her:"You and me,WE are not lucky with women. 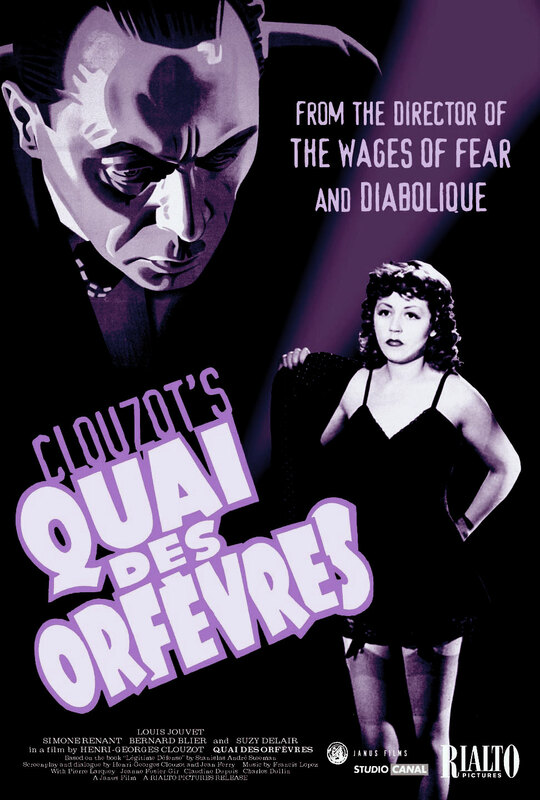 "The portrait of this cop isvery detailed:we learn a lot of things about him,not necessary connected with the Delair/Blier plot:he's a widower ,with a son he adores and who runs into school difficulties,particularly in geometry.So we get to know all the characters in depth.One of the most important manifesto of post-war French cinema.